When dedicated employees of a visionary EV company suddenly find themselves out of work, new motorcycles sometimes happen. 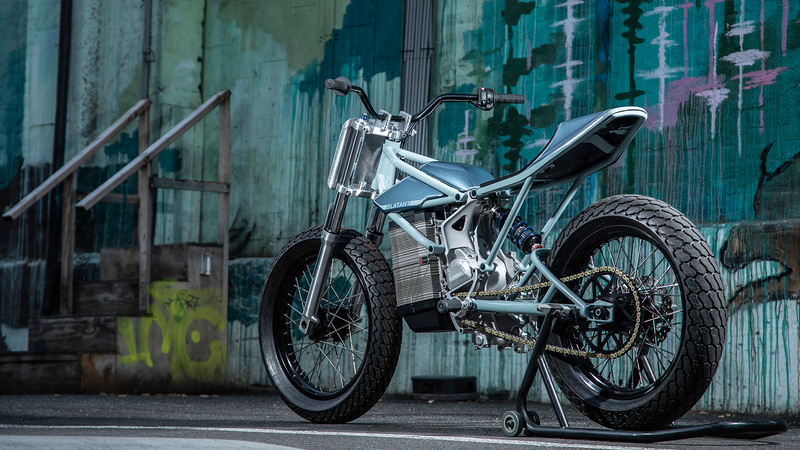 Blatant Moto is the workshop of three former Alta Motors teammates, who re-imaged the Redshift off-road racer as a flat-track racer, with a completely custom, handmade trellis frame, swingarm, subframe and bodywork. Constructed with race-winning short track geometry, the Tracker uses Alta’s incredible battery pack – still the highest energy-density battery ever made for an EV – with an excellent chassis to create the most potent electric short track racer ever. 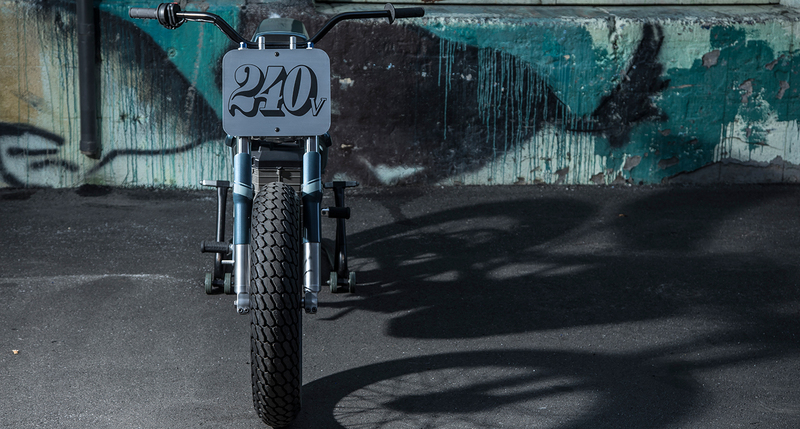 Built for both “flattrack racing and urban commuting in one hooligan-sized package” the 250 lb. motorcycle has 120 ft-lbs of torque, around the same amount of torque you can find in a Suzuki Hayabusa or Yamaha V-Max.